My grandma, Naomi Yager earned a bachelor’s degree in Home Economics and a master’s in Animal Nutrition at Cornell. She wanted to go to med school but her father wouldn’t let her. She went to Temple University for education credits before becoming a science teacher in the late 50s, early 60s. She first taught at Widener Jr. High and then at the Philadelphia High School for Girls where she taught my mom (and many other young women) chemistry until 1973 when my grandpa’s promotion moved them out of Philadelphia. They moved to Metuchen, NJ (my grandpa worked in NYC) where they lived until my grandpa passed away in 2000. Throughout her life she was very active on the League of Women Voters. My mom sent her a picture of me registering to vote on my 18th birthday, which she greatly appreciated. Although her body was aging throughout my adult life, she never lost her wit and intellectual curiosity. She played bridge, did the New York Times crossword puzzle every week, and enjoyed birding. Her favorite birding spot was in Sanibel, FL where she used to go somewhat regularly with my grandfather. During spring break my freshman year of high school (2003), my grandma, my mom, and I all traveled to Sanibel together for what was probably her last trip to the island. She passed away exactly one week after her 90th birthday in 2011. Although I was in grad school in Michigan at the time, I happened to be home for just two weeks leading up to her birthday, so I had been able to visit her in the hospital shortly before she passed. I was working on a masters degree in natural resources and environment and she loved talking with me about environmental issues. In her hospital bed at age 90, she talked at length with me about nuclear power (she was for it) and about electric cars (she asked the insightful and important question of where the power to charge the cars would come from). She had two daughters and two grandkids, both of whom are in the sciences (my brother has a BA in Chemistry). 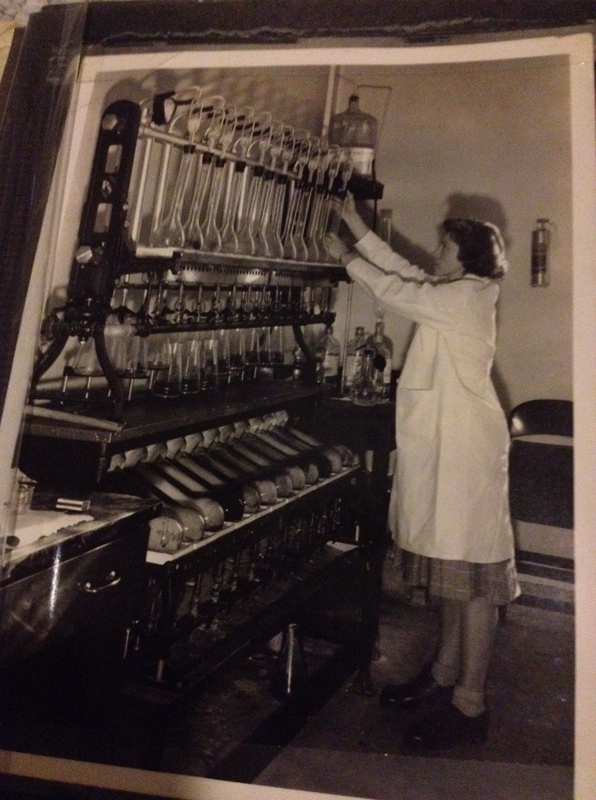 Growing up I had no idea how unique it was that my grandma was a scientist, but looking at that picture now as I see women still struggling in the STEM fields makes me realize just how special she was. This entry was posted in Chemistry, Environmental Science and tagged Chemistry. Bookmark the permalink. Naomi Yager, described above, was my aunt, and everything that Naomi Hamermesh says about her was true. She had a sharp tongue, but a sharper mind and a great sense of humor. She and Paul Yager, her husband, visited Sanibel with my parents, Edward Levy and Florence Yager Levy, many times. 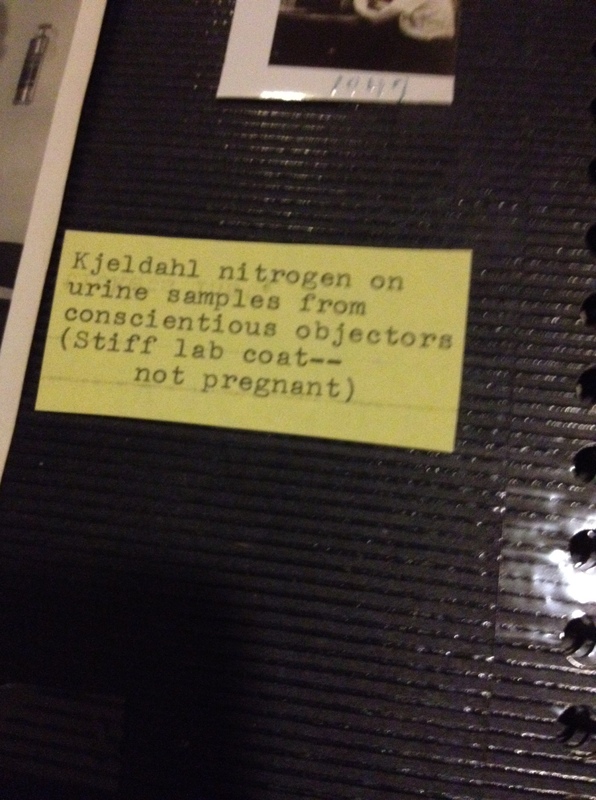 My dad held a Ph.D. in Organic Chemistry (1946), and he always thought of Naomi Yager as a colleague. I myself am a woman with a Ph.D. in a STEM discipline (Anthropology), and have considered myself very lucky to have people in my family who encouraged all of us, male and female, to work toward our ambitions. I was a student of Naomi Yager’s at the Philadelphia High School for Girls. She was in part responsible for me becoming a Chemist. I loved chemistry from an early age and she encouraged my ambition. She was a “sharp” teacher! I have the pleasure of knowing her daughter Marion well through my creative side in dance, and Marion’s daughter Naomi who wrote this piece. It is a wonderful remembrance. I am proud to know these three generations. Naomi Yager was my chemistry teacher, as well, at GHS. She was a favorite, and I still remember comments and encouragements she gave me. I continued in the sciences as both a vocation and avocation. Her teaching career is a testament to the power of the role model. She was certainly one who put my feet on the science path in the day when women still weren’t well accepted (are they yet?). Thanks for a wonderful remembrance. I knew Naomi as a teacher of my daughter at Girls High and also stayed with her at their place in Metuchen when I went to New York for meetings about nuclear waste. Terrific person indeed.